CAPTA now has 32 member schools, and we have expanded well beyond just the Washington, D.C., area. 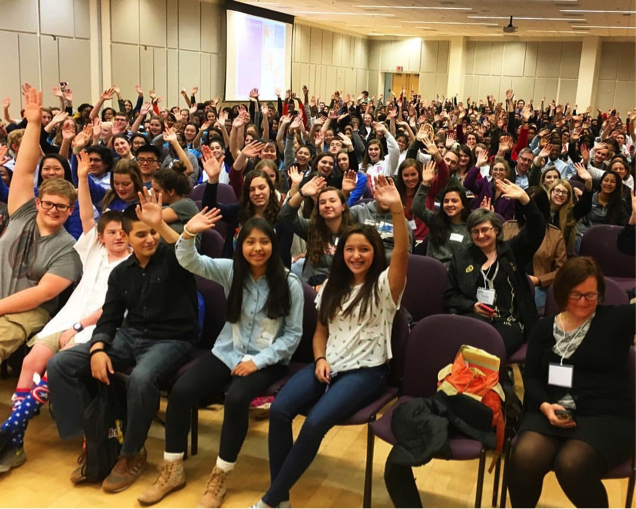 At one of our earliest SSWC conferences, 135 tutors from 20 schools gathered at George Mason University to discuss tutoring best practices and how to successfully operate a writing center within the context of secondary schools. Our fifth annual SSWC conference, “CAPTA 2016: Vision and Revision in the Center,” hosted nearly 500 tutors, directors, and administrators from 48 middle schools, high schools, and universities as far north as New Hampshire, as far south as Florida, and as far west as Ohio. One of the key areas of growth at these conferences has been opportunities for tutors themselves to conduct and share research unique to their experiences tutoring in and supporting the administrative work of SSWCs. These kinds of experiences are unprecedented for young tutors and novice contributors to our field. Renee Brown, Director of the Peters Township Middle School Writing Center in McMurray, PA, and CAPTA’s Middle School Representative, has found that “there are only a limited number of opportunities for middle and high school students to present at a conference like CAPTA’s. The focus is on student tutors and their work.” Her tutors’ attendance at and contribution to CAPTA reflects another area of growth in our organization and in our field more broadly: the inclusion of middle school centers, which she now leads as a growing area of focus and development. 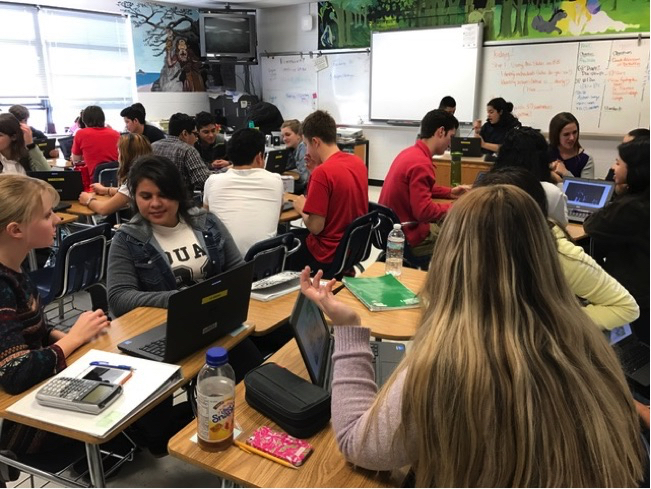 Hannah Baran, Director of Studio C at Albemarle High School in Charlottesville, VA, and CAPTA At-Large Board Member, shares that for her tutors, “the CAPTA conference is a focal point of our school year. Students look forward to presenting and think about their topics for months beforehand. It’s rewarding for them to see that they are part of a larger network of students doing this vital work, and we always come home with exciting new ideas for our center.” While Hannah’s tutors have traveled from central Virginia to attend every tutor conference, she and her tutors are now joined by a network of directors and tutors from outside of the original region of our organization’s focus. With three Board Members from outside the greater Washington D.C. area and with one school as far as Beirut, Lebanon in the CAPTA network, one of CAPTA’s missions for 2017 is to rename and rebrand itself to become the first international secondary school writing center organization prior to our conference this December. I have been able to engage in discussions with fellow directors about how to best train my tutors to serve my school’s growing population of English Language Learners, how to provide opportunities for my tutors to collaborate with their peers in high-level and exciting ways, and how to best advocate for our program in times of decreasing budgets and changing administrations. 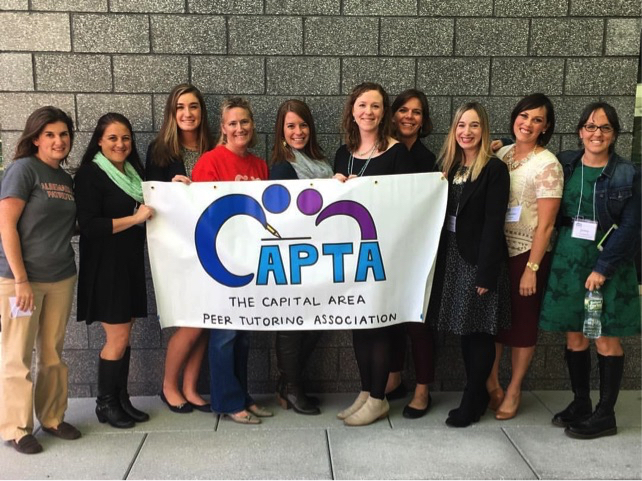 As Dr. Jennifer Wells shared in her keynote address at our 2016 conference, “If you don’t define your narrative, someone else will.” CAPTA has helped me to refine, to claim, and to advocate for the narrative of the Herndon Writing Center, which I simply would not have been able to do without the support network CAPTA has built. 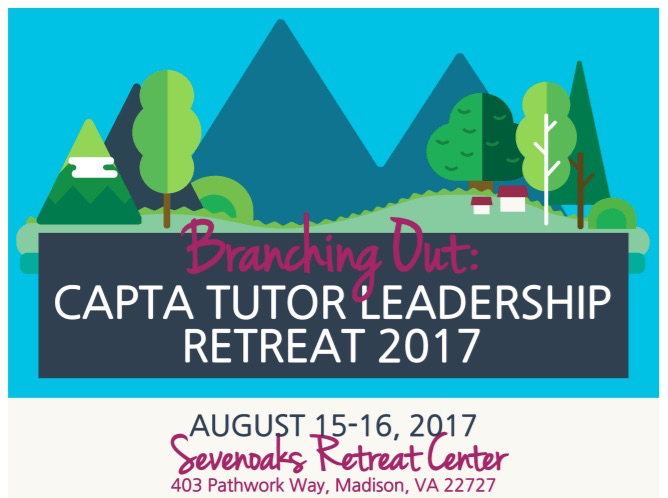 CAPTA is excited to be hosting our first ever tutor leadership retreat this summer. Secondary School Writing and Peer Tutoring Center directors and tutors are invited to join us August 15-16 at Sevenoaks Retreat Center in Madison, VA, to collaborate with centers and to plan for the year ahead. SSWCs near and far: we hope you will also join us for our 6th Annual Secondary School Writing Center Conference, “People, Passion, and Purpose,” on Friday, December 8, at George Mason University’s Arlington Campus. Connect with us on Twitter, on Facebook, and on our website. Next Next post: WLN Announcements! Fabulous piece. CAPTA offers a glimpse of what a national organization for secondary school writing centers might look like.